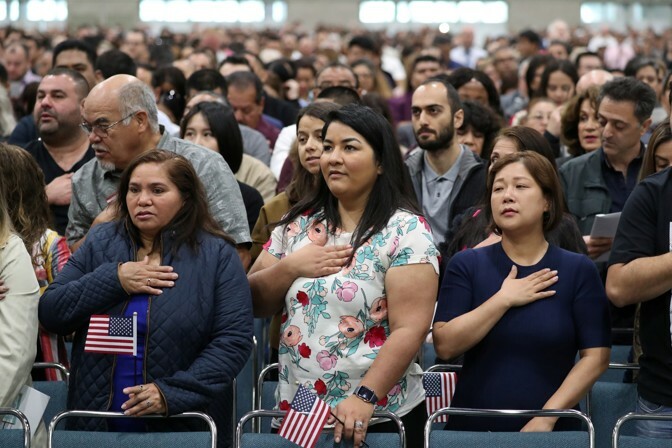 The Supreme Court heard arguments in a case that will determine whether the 2020 census records citizenship. Plus: Republicans want to investigate the Mueller investigation. 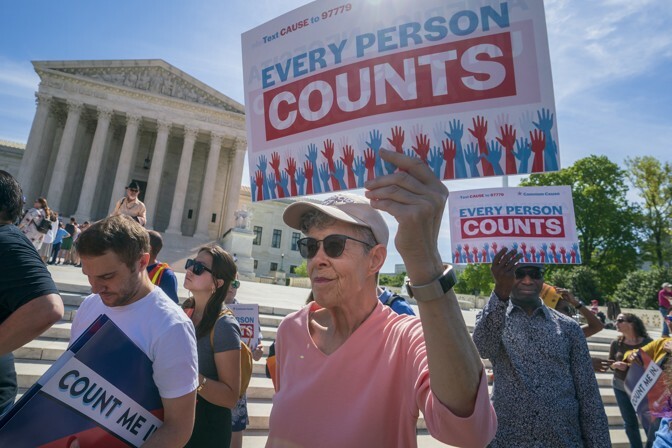 ‣ The Supreme Court heard arguments in a case that will determine whether a citizenship question is allowed to appear on the 2020 census. More Fallout From the Mueller Report: Special Counsel Robert Mueller’s inquiry into Russian interference in the 2016 election might be over, but Republicans aren’t done with it yet. Some of the president’s closest allies want an investigation into how the Russia probe began, reports Elaina Plott—and their motivations are largely political. On the other side of the aisle, Democrats are more united than many news reports make it seem, Elaine Godfrey reports. Most congressional Democrats want three things: the release of the full, unredacted special-counsel report; for Mueller and Attorney General William Barr to testify before Congress; and for the House to keep investigating the president. + J. W. Verret, a former member of Donald Trump’s transition team, argues that the Mueller report shows enough is enough—it’s time to impeach the president. “Mueller drafted what any reasonable reader would see as a referral to Congress to commence impeachment hearings,” he writes. An Age-Old Tradition: Trump recently announced that he will visit the United Kingdom early next month—and Londoners are already planning protests. That’s not surprising, reports Yasmeen Serhan: The U.K. has a history of protesting other countries’ leaders, from George W. Bush to Xi Jinping. The Other Segregation: We often talk about the segregation of public schools in America as a problem between schools. But, writes Whitney Pirtle, we should talk more about the “separate and unequal education systems within single schools,” propagated by gifted and talented education programs that are disproportionately white. “But journalists aren’t digging much deeper than his orientation—and I have a theory on why. In the places where they live—in the pockets of the country that the Donald Trump minion Stephen Miller has disparagingly labeled ‘cosmopolitan’—sexuality is a hot topic. Maybe even the hottest topic. Military service? Not so much. Religious faith? Not at all.” → Read on. “One of the surveys I conduct is the American Community Survey (ACS), which includes a variety of questions about people living at randomly selected addresses. One of the questions the ACS asks of all persons residing at an address is whether they are U.S. citizens … Indeed, after 14 years of interviewing immigrants from Latin America and elsewhere, I can count on one hand the number of noncitizens who have refused to answer this question.” → Read on.